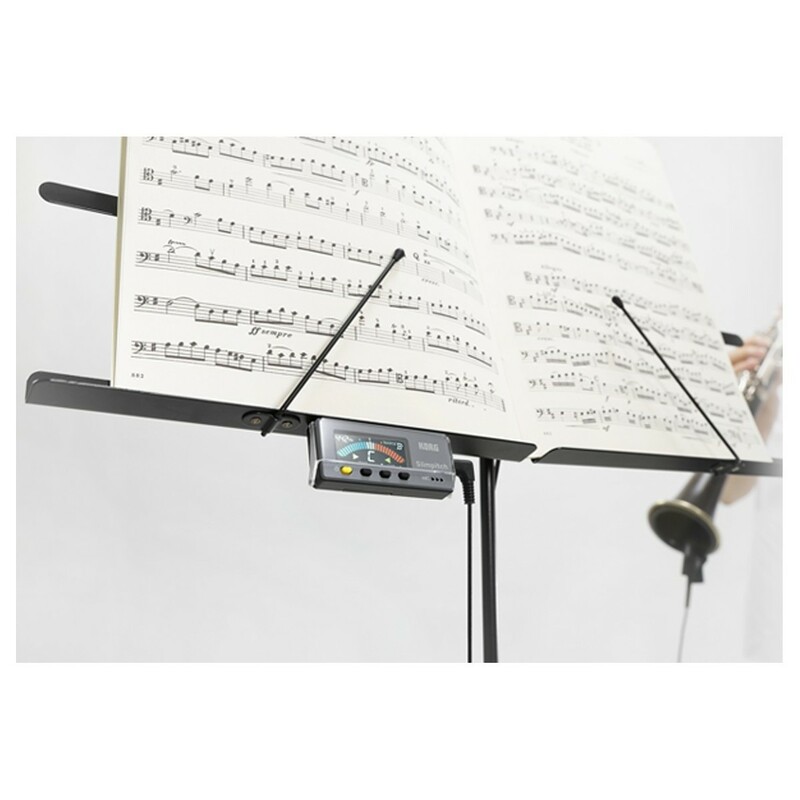 Ideal for band and orchestral performers, the Korg Slimpitch has a high-contrast LCD screen for improved visibility. 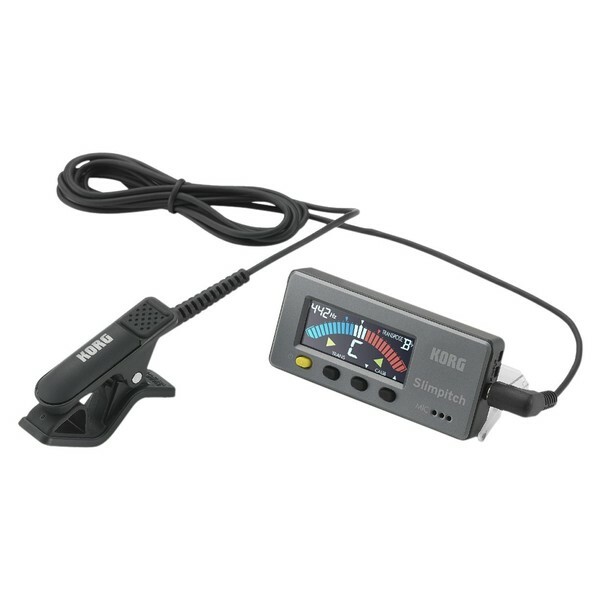 The body of the tuner is it's most compact ever and so is able to fit in your hand. Included is a dedicated contact microphone, a newly-developed magnet mechanism (for attaching to a music stand) and a clear plastic cover. The Slimpitch is the first of Korg's tuners to have a full LCD display. The brilliant white backlight is perfect for displaying the clear colour VA meter to show a high contrast display from a wide angle. In addition, the meter display and the text are colour coded and makes it even easier to see the pitches. At around a third of the size of previous units, this is the slimmest tuner Korg have produced meaning it will easily fit in instrument cases or your pocket. For when it is difficult to hear with other performers around, the dedicated contact microphone ensure the sound is accurately transmitted. The 3.5mm jack makes sure that this tuner is even more compact. With the magnet, the Slimpitch tuner can be attached to the underside of the music stand to enable you to read all of the music on that stad, rather then being obscured by the tuner. This also makes it easier for turning pages. The magnet is embedded into the top surface of the body so it can easily be attached to metal music stands. For non-magnetic stands, simply attach the included metal plate. The transparent protective cover also doubles up as a stand to allow convenient placement on a range of surfaces. 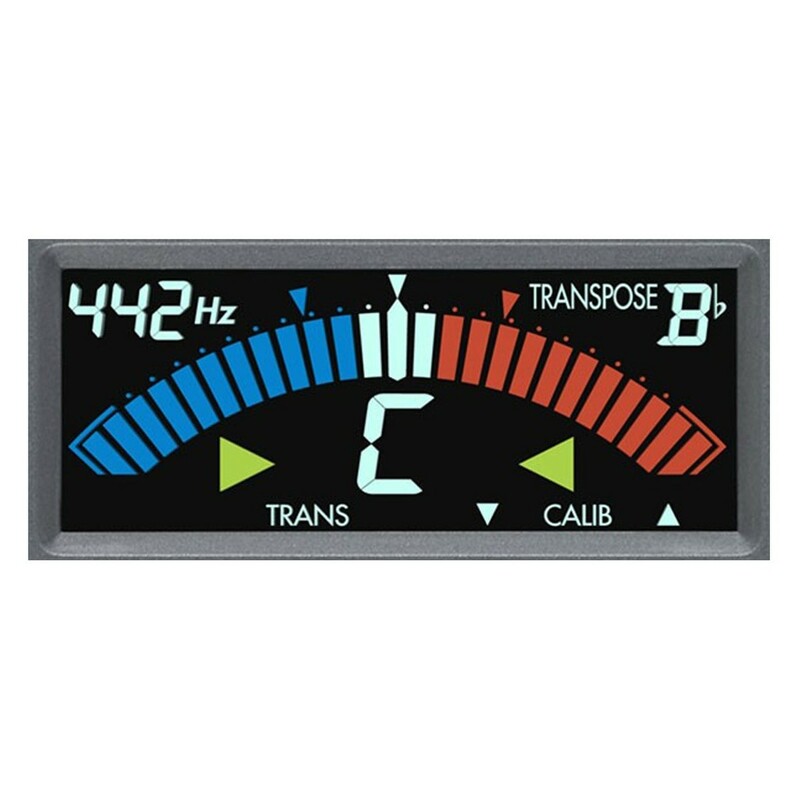 This tuner features a calibration function to adjust the concert pitch, calibrated in 1Hz intervals. Also, there is a transpose function allowing you to accurately tune instruments in other keys, such as F, B-flat and E-flat as well as C.
Having the auto-off function allows you to save your settings and save battery at the same time.